Louis van Gaal and United are looking to get back to winning ways at Old Trafford on Saturday afternoon as it is Manchester United v West Ham United, here we predict the starting XI, score and review both sides going into this clash. Predicted Starting Team Manchester United; De Gea, Valencia, Blind, Rojo, Shaw, Herrera, Mata, Di Maria, Rooney, van Persie, Falcao. Predicted Starting Team West Ham United; Adrian, Cresswell, Tomkins, Reid, Remel, Downing, Noble, Song, Zarate, Valencia, Sakho. Manchester United v West Ham United. Saturday 27th of September 2014. Match Officials: Referee; Lee Mason, ASST Ref 1, A. Garrat, ASST Ref 2; I. Hussin, 4th Official; M. Dean. All Competitive Matches: P 128, W 60, D 26, L42, F 238, A167. Premier League: P 36, W 24, D 8, L 4, F 79, A 31. West Ham United are sitting in 8th place in the league table on 7 points, United in twelfth place on 5 points, trailing league leaders Chelsea on 13 points. Is the league challenge now over and the clubs aim must be to attain a Champions League spot at the absolute minimum, or will the Iron’s put the final nail in United’s coffin for this season on Saturday in achieving that goal, surely not? 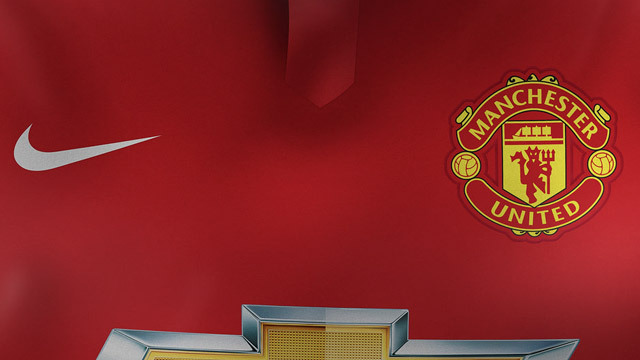 Manchester United; Rooney (17) van Persie (12) Welbeck (9) Mata (6) Hernandez (4). West Ham United; Nolan (7) C. Cole (6) Diame (4) Morrison (3) Noble (3). Manchester United; Di Maria (2) Herrera (2) Mata (2) Rooney (2) van Persie (1). West Ham United; Sahko (2) Amalifano (1) Cole (1) Downing (1) Noble (1) Reid (1) Valencia (1) Zarate (1). Manchester United; J Evans, Ankle/Foot injury (4 weeks lay-off) A Young, Groin/Pelvis injury (no return date) P Jones, Hamstring Injury (5th Oct) M Fellaini, Ankle/Foot injury (20th Oct) J Lingard, Knee injury (no return date) M Carrick Ankle/Foot injury (5th Oct). West Ham United; C Kouyate, Groin/Injury (8th of November) J O’Brien, Knee Injury (no return date) K Nolan, Shoulder Injury (18th Oct) A Carroll, Ankle Injury (Dec). The last occasion we played West Ham United was in London’s East End on Saturday 22nd of March 2014 in the Premier League, when we witnessed one of the most spectacular goals of the Premier League era, as Wayne Rooney in the eighth minute from a Ashley Young clearance, tussles with James Tomkins on the half-way line. Rooney wins his battle and 5 yards into the Iron’s half, twists and fires the ball past the scrambling Hammers stopper Adrian from nearly 60 yards out. United completing the scoring Rooney again in the 33rd minute firing the Red Devils to a 2-0 victory with a tap in after a Mark Noble error failing to make his clearance, magic under the floodlights in East London. The last time West Ham United won at Old Trafford was back on the 13th May 2007 in the FA Premiership in the penultimate game of our season, controversial Carlos Tevez netting the only goal to secure the Iron’s league status finishing the season in 15th place on 41 points. Sheffield United ironically on 38 points in 18th place being relegated along with Charlton Athletic on 34 points along with Watford propping up the table on 28 points. Legal complications regarding third party ownership surrounded Tevez for two years, an out of court settlement being reached in 2009. West Ham United were made to pay £21m in instalments of £4m per year over the next 5 years to the Blades, adding in the legal fees of £5m, the whole sorry saga costing the Irons nearly £32m for the want – away, golfing fanatic Argentinian. United having secured the League title with a draw against Chelsea 0-0 at Stamford Bridge in the previous match to West Ham game, Cristiano Ronaldo netting the only goal at Eastland’s Stadium 4 days earlier to confirm the Red Devils authority in the league 6 points ultimately of daylight between United in first place and Chelsea in second spot. As we can see at United currently, the plans for our football club are not falling into place, Chelsea 6 days after our victory against West Ham, the Blue’s putting Manchester United to the sword at Wembley in the FA Cup final beating us 1-0. That’s the football roller coaster, highs and lows, elation and heartbreak. West Ham United visit Old Trafford on Saturday on the back of their fantastic morale boosting 3-1 win at the Boleyn Ground over Liverpool, having registered 4 points against Liverpool in their last 8 encounters. Allardyce’s men having drawn their previous game at the KC Stadium against Hull City 2-2, following a loss 3-1 away to Ronald Koeman’s new charges Southampton at St Mary’s, similar to United suffering an away defeat to Sheffield United in the Capital One Cup 5-4 on penalties. The Hammers winning one of their two London derbies against Crystal Palace 3-1 at Selhurst Park, losing their opening day fixture at home to Mauricio Pochettino’s, Tottenham Hotspurs. Very much a mixed set of results for the Iron’s mirrored by Manchester United’s stop – start campaign to date. But the momentum and confidence are with Allardyce’s team to arrive at Old Trafford with nothing to fear as United’s frailties in defence are being brutally exposed, compounded by a seriously worrying injury list and the limited selection of defenders available for Louis van Gaal to choose from. Simply inadequate for one of the Worlds top football clubs aiming to compete on the big stage the Champions League. But as ever a modicum of patience is needed with the Dutchman and his staff to allow him to come to terms in managing the many strings to United’s bow. Last season West Ham United were without club record signing £15m Andy Carroll for the majority of their second season back in the top-tier and there was a sense of anguish as the Iron’s supporters were seeking blood in the form of Sam Allardyce’s head due to the lack of goal threat in the main. Our challengers on Saturday being beaten on 20 occasions in the Premier League, but worth noting that the Hammers recorded an excellent 15 clean sheets. To add to West Ham United’s nous in coaching knowledge they have recruited Teddy Sheringham the ex Manchester United striker who made 101 (52) appearances for our club scoring 46 goals, returning to Upton Park where he also plied his trade during 2004-07. Sheringham has a big task on his hands, Teddy’s new charges recording six 0-0 draws last season, he will be hoping Carroll finds his form and the injury woes that have plagued the big Geordie are in the past, appearing in 15 of West Ham United’s matches last term netting 2 goals, while in season 2012-13 Carroll struck 7 times in 24 games. Carroll will be hoping to recapture the form he displayed at Newcastle United in season 2010-11 hitting the back of the net on 11 occasions in 19 appearances, earning him his £35m January move to Anfield, replacing Fernando Torres as the Spaniard moved south to Chelsea in an eye watering unbelievable £50m transfer. It’s being reported that so far this season West Ham United’s tally of 26 shots on target, is only bettered by league leaders Chelsea (32) and Southampton (27) and the Iron’s pass-completion rate has improved by more than 4% over last term. Sheringham making a confident start but much work to do to address West Ham United’s goal scoring weakness netting 40 in total last season, the same amount as league points achieved. As we think we know, Big Sam Allardyce teams (Bolton) firing long balls the full length of the pitch aiming for the like of Andy Carroll’s bonce, last season the Hammers did indeed fire a league high 17% of long balls, wrong! There is more to West Ham United this season and have shown they have the ability to play attractive football on the deck, however with the Irons setup defensively to keep it tight, they never suffered a bruising high scoring defeat in the Premier League last season, although did come unstuck in both domestic cups. West Ham United spent the 6th most in the Premier League a £24.4m net spend, adding the fabulous Enner Valencia the 24 year old who starred for Ecuador at this summers World Cup and Diafra Sakho to improve their attacking arsenal, which is immediately paying dividends as the two work on gelling together to form an understanding. Sam Allardyce also bringing on board defensive players Cheikhou Kouyate (unfortunately injured) Alex Song and Aaron Cresswell also. West Ham United have finished 10th and 13th in the Premier League during the last two seasons back in the top tier after a two year absence, with the additions of better attacking options and a squad that remains fit the Iron’s should improve upon a 13th place finish, possibly all things falling into place a 9th place, in time if David Gold and Sullivan stick with Big Sam they will be aiming to break into the top eight positions. The caveat a brief look at Charlton Athletics history the knee jerk departure of West Ham old-boy Alan Curbishley in 2006, fires a warning slowly – slowly and it’s sometimes better to stick with what you know and be satisfied, the Addicts never featuring in the Premiership again, finishing 18th last season in the Championship. Gus Poyet’s son 19 year old Diego arriving at the Boleyn Ground in the summer on the back of being Charlton Athletics’ player of the year, the youngster making 24 appearances for the then Charlton boss Chris Powell. A big season for West Ham United as they juggle with an exhilarating new attacking format while managing their move to the Olympic Stadium in Stratford in 2016, exciting times for the Iron’s. West Ham United vice-chairperson Karren Brady noting that the club will not be willing to share their stadium with Tottenham Hotspurs, the White Hart Lane team are not expected to move their new stadium until season 2017-18. Brady curtly but humorously adding “No one has asked us our permission and, if they did, we would probably say no, depending on who it is – if you get my drift.” When West Ham United have completed their move to the Olympic Stadium they will have a ground capacity that takes them into the top 20 in Europe for capacity. More than a few stars on show, some twinkled for 60 minutes, but none totally dazzled for the 90 minutes. The contest is not over till the referee blows the final whistle. The first time United have lost a two goal lead since the inception of the Premiership in 1992/93 against Leicester City, in 853 games Manchester United have never buckled and went about our business in such a gung-ho fashion. The Foxes mugged United with a team ethic, grit mixed with fight, the first time that Leicester City have scored 4 0r more goals against United since April 1963. The only occasion in Manchester United’s rich history that the club have conceded in excess of 4 goals to a newly promoted team, the Foxes also being the 14th team in United’s Premier League era to score 4 goals against the club in one match, a sad day for Manchester United. Manchester United have a weak centre at present, with the summer departures of Nemanja Vidic, Rio Ferdinand and Patrice Evra, who were all as hard as nails and would put their foot in and if necessary two of the three could be nasty. The combined trio contributing 1134 club appearances aiding United to win 16 League Titles with 30 years experience of the Premier League at our club. The knowledge of the league that United lost in the departures of three key defenders in one window was criminal to make no sustained effort to replace them or have a contingency plan in place for their inevitable farewells. The club making no serious move to bring in quality replacements at centre-back is now being felt in a critical way, not finding a replacement for Vidic in particular is a huge error, who most Red Devil supporters who describe the Serbian as being hard-core, a proper club captain. Louis van Gaal added Radamel Falcao to United’s attacking options against Leicester City on Sunday, the manager adding “I was not satisfied with Rooney as a striker. Rooney can play in more positions, he’s a multi-functional player and I have tried him in a strikers position. “He played well but not spectacular and Falcao is a striker and I think he can do better.” Trouble is brewing at Old Trafford? Everyone talks particularly nowadays about different types of systems it’s sometimes a little bit more simple than that, it’s about winning your individual battles, winning the second ball, marking men at corners and other dead ball situations, and the end product when the chance arrive putting the ball in the net, easy on paper. United simply did not have enough winners and leaders on the field at the King Power Stadium, a steel and fight that the club are going to have rediscover and quickly as a Champions League spot is now our most realistic – optimistic aim. The defence as we know is the worrying area of the United squad, losing Vidic, Ferdinand and Evra who had the tools in coaching – guiding the young defenders at the club, Blackett, Shaw, Evans, Rafael, Smalling, and Jones as examples was simple lack of planning, erasing 3 United winners in one Summer. United in the meantime have been linked with Mats Hummels (not realistic, contracted till 2017) of Borussia Dortmund and previously Thomas Vermaelen the 28 year old Belgian now plying his trade at Barcelona after his £15m transfer from Arsenal, although yet to make his debut at the Camp Nou, and severely injury prone. Links are being made again for the January transfer window with Kevin Strootman at Roma (currently injured also) the Italians general manager Mauro Baldissoni insists the Dutch midfielder is not for sale. Curiously in the last few days and a new name in the frame has arisen, bringing back from Barcelona to United, the Catalans centre back Gerard Pique, and it’s only late September. All us United fans can see the porous nature of our defensive make up, which has not been addressed fully during the summer transfer window, yes we are all delighted with the world class attacking players the club purchased, magnificent. Surely however Mr Van Gaal, Ryan Giggs, Frank Hoek and Marcel Bout will be scouring Europe for the top – top central defender the club so desperately demands for the January window to compete on an even playing field with Chelsea and Manchester City. Failure to do this will mean for this season the managers last league title won 2009/10 the Bundesliga Title with Bayern Munich will still remain his most recent, until the glaring defensive weakness is solved. Tyler Blackett has been one of the strongest features this season in defence the 20 year old featuring in 5 of the Red Devils 6 competitive matches this season, after impressing the boss on the summer tour of the USA. It is possibly a blessing for the youngster to have been red carded against Leicester City although the Manchester born youngster was rash in his lunge on Jamie Vardy, the Leicester player drawing the foul, but as chaos and confusion reigns in the United defence the last thing Blackett needs is to have his confidence hammered as Van Gaal and his staff fail to get a grip of the important rear-guard area of the team. It’s being reported that United could throw 19 year old Paddy McNair into the deep -end by fielding the youngster against West Ham United as a desperate attempt to the fill in the gaps in the defence. The young Irishman was a No10, false 9 player developing into a midfielder, but has gradually found his niche as a central defender. The youngster however has never featured in any First Team match, is it not inappropriate to blood any young player in a team playing with such a lack of cohesion, particularly in the defensive area. One question however that does need to be asked, when considering this dilemma the club is currently facing, why was Michael Keane allowed to leave in the summer transfer window on loan to Burnley, he indeed did have First Team experience and would have not let anybody down with his performance. There does appear to be a lack of joined up thinking at Manchester United presently. United have already used 33 players in the first 6 matches this season, with Luke Shaw likely to make his debut against West Ham United, taking the total Van Gaal has used to 34, incredible for inconsistency, and enabling the players to form a team understanding? Although the manager did field a side with 9 changes from the 1-1 draw at Sunderland to face the MK Dons, suffering a humiliating 4-0 thrashing, 5 players with less than 5 appearances for the club on show. Several of the starting 11 and substitute’s from the Capital One Cup embarrassment subsequently being shipped out either permanently, or on loan, Kagawa, Hernandez, Welbeck, Zaha, and Nick Powell being axed primarily. Manchester United’s performance to date this season, is so un-united, apart from a comparison with the under fire David Moyes of last season after 5 matches, winning 7 points while playing Swansea City, Chelsea, Liverpool, Crystal Palace and Manchester City in Moyes’ first 5 league games in charge. Three of the teams in Moyes’ first 5 games going on to be placed 1st – 2nd and 3rd in the Premier League last season. Yet as we know United have 5 points on the league board, having played the 3 promoted teams, Burnley, Queens Park Rangers and Leicester City, along with two ‘established’ Premiership teams, Swansea City and Sunderland. Under van Gaal’s custodianship garnering a miserable 5 league points. All is not well at Manchester United? Score – line Prediction: Manchester United 3 -1 West Ham United, cautiously, the Hammers are not arriving at Old Trafford on Saturday for a day out in Manchester, they will mean business and have the momentum, however Only True Champions Come Out And Show Their Worth After Defeat. Who do you think will be in the starting XI against West Ham? Leave a comment in the section below.